We are excited to announce that https://delegationhub.com is LIVE! We have collaborated with delegationhub.com to provide you, our most valuable delegators, even more flexibility and convenience for your investments. Daily payouts until “undelegation” by you either to delegate to the open market for fixed returns or to delegate to therising for high variable returns. For any queries, feel free to contact us on our discord channel. If I delegate 100 sp then how much can I earn daily? It depends upon the APR% of the lease request. Right now the available lease request gives 17.68% APR if you delegate 100 SP. So for 100 sp you will pay 1.76 sbd daily ? 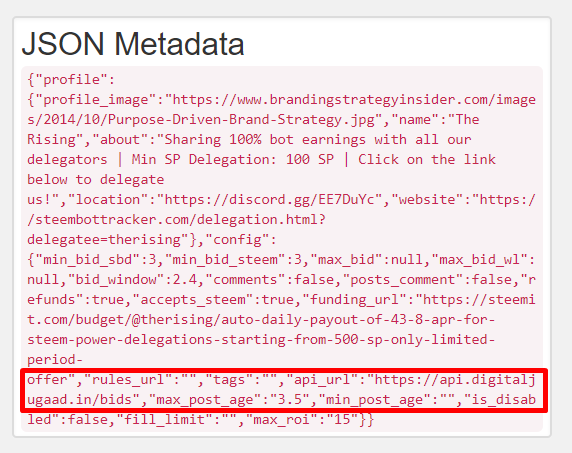 Only the owner of http://digitaljugaad.in/ would use the same DNS address both for delegationhub and isteemd, a sub-domain of http://digitaljugaad.in/. 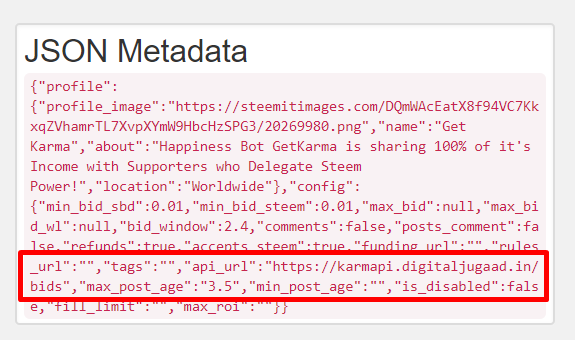 And this is also your account, @getkarma? We are a team of 8-10 developers with 1 content-writer/customer support guy (As most of the developers don’t know English) with the goal of contributing to the steemit community as well as exploring other block-chain ecosystems. We didn’t have enough money to buy a new hosting server for different projects so we all shared one server under the banner of digitaljugaad. We have several projects currently under development and also other projects which are simultaneously running on different platforms handled by different teams. The agreement which we have amongst us is that the team which executes the entire project will be a kind of totally different subsidiary under digitaljugaad and will be the only team responsible for that project and any earnings or loss of that project would goto that team only (Much like a separate company). 1 developer from our team started therising on January. And after a few months, it was a success. A new developer which joined us recently started getkarma just 2 months back and is still struggling to raise some SP. Meanwhile, 3 other developers planned the isteemd concept. They worked on the algorithm and the code for more than 2 months and then launched isteemd.com. Now, some people are saying that therising and isteemd is the same but that is not at all true. They are made by completely different developers as the underlying code and algorithm is completely different and even though they are under the same banner, isteemd is just curating data from the blockchain which is fully transparent and thus can be verified by anybody. Regarding delegationhub, it is started by a different team and is a different project altogether. So that team has no collaboration with anyone from isteemd team. Maybe it was our mistake that we didn’t disclose the banner that these projects were under but now, we are completely transparent about it. Overall, our different teams have always helped the community and our live projects are breathing proof that we have shared the maximum possible earnings with the community. With 8 developers you would be one of the largest dev teams on whole Steem. It's fine if you are one or two guys doing stuff, but you were sloppy with hiding that the projects were related and you got caught - get over it, stop lying. We never meant 8 developers exclusively for steem. Some of them also work in ethereum. Anybody can think whatever they want. It's fine, we got over it. Oh, great that you (your 8 man developer team in 1 person) got over it. Who cares about transparency in your services, right? How would you feel if I had created isteemd without disclosing it. And I'd just answered that it doesn't matter, because the opinion won't be biased. Disclose it ASAP that isteemd and therising are connected! Deleting your messages on discord won't change the fact that you've lied. You've lied blatantly about every fact. Why should I believe you now? @therising Sir, I am @monirrohan. unfortunately, I sent your "Savings"
3 STEEM. I am new in steemit. I know you are an honest businessman. It's little for you, but huge for me. 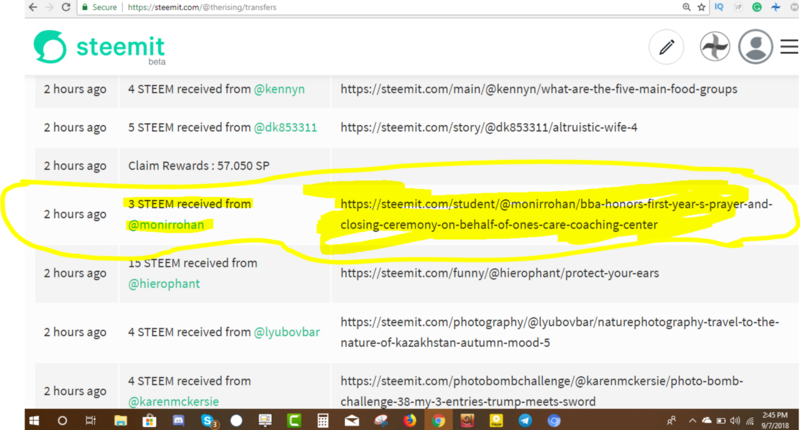 So, Please refund my 3 STEEM. God Bless you @therising . I know @monirrohan. I also hope he can get back 3 STEEM. @therising. Hi @monirrohan. Your 3 STEEM has been refunded. God bless you too. Thank you very much @therising sir. Wow!! Again thanks from @darkline to @therising. Hi ... I want ask if it is ok here to ask . If I make delegation 2000 SP, how much do i receive daily according to the current steem prices. Hi foxkoit. 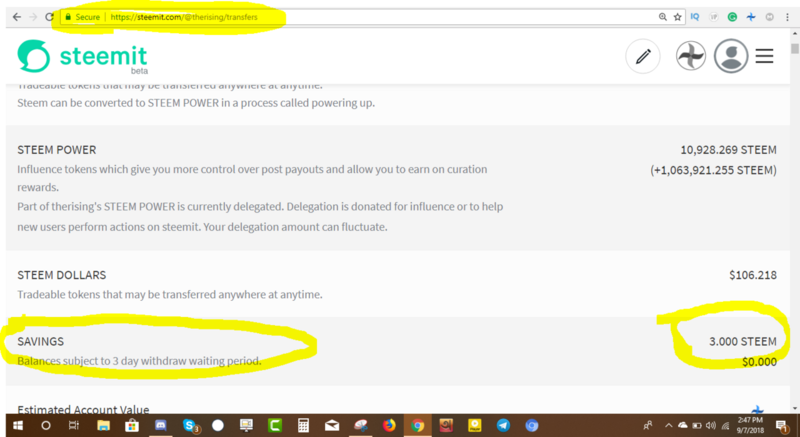 If you make a delegation of 2000 SP to therising bot, then as per today's payout and steem prices, you would receive approx. 0.96 STEEM (including SBD) daily. Thank you!! that you make time and say something back . I go and make some calculations. And then I see what happens. very appreciable initiative... great work..
Wow this sounds interesting, I'll have to try it out! This is best investment platform! Hi @luciannagy. It's because 2 more bids came at the same time when you placed your bid at the last minute. That's why the ROI dropped in your bidding round.